Located in Clarksville, TN, we are pleased to be a sanctuary for the yarn addicted. Yarn Asylum stocks a wide variety of yarns, notions, needles, hooks, books and gifts for fiber enthusiasts. We also have classes and workshops geared for ALL levels of stitchers – beginner through advanced. Drop by and see us soon! 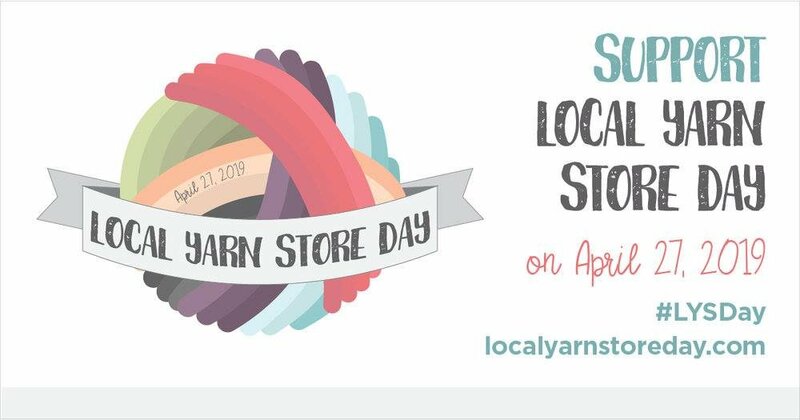 Yarn Asylum has special hours this week for Easter. We will be open normal hours on Tuesday through Thursday. We will be closed on Good Friday, April 19th and Saturday, April 20th for a long weekend. Blessings to all of you as we celebrate the greatest gift ever! Changes happen all the time in the yarn industry. New yarns and new colors are being added constantly. Other yarns and colors are being discontinued to make room for those new ones. In 2018, the yarn industry lost a large yarn company when the owner retired. Classic Elite closed their doors forever. During our recent inventory, we realized we still have quite a bit of the Classic Elite favorites in stock. We are going to give you the chance to have these yarns for the last time and at an unbeatable price. All remaining Classic Elite yarns will be marked down 50% until they are gone. This includes Liberty Wool, Firefly, Song, Villa, Gigi, and many more. We also have prepackaged kits with enough yarn to make sweaters, wraps, shawls, mittens and more. They also contain the book with the necessary pattern and many more patterns. These kits were already priced at a discount and they are now 50% off that discounted price. This is a HUGE bargain. We want to clear out this space and bring in some of those new yarns just coming onto the market! Sale prices are also valid for online sales. See what we have at www.yarnasylum.com. Shop early for best selection. All sales are final and these discounted prices cannot be combined with any other offer or coupon. Go to our Newsletter page and sign up for our new Birthday Club and receive a special surprise to make your birthday extra special! (especially formerly) an institution for the maintenance and care of the mentally ill, orphans, or other persons requiring specialized assistance. a refuge granted an alien by a sovereign state on its own territory. a temporary refuge granted political offenders, especially in a foreign embassy.